Irit Mevorach (LLB, LLM, Tel-Aviv University; PhD, UCL) is a Professor of International Commercial Law at the University of Nottingham. 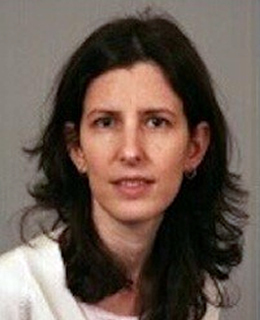 Between 1998-2003, Irit practiced law at Lipa Meir & Co, Tel-Aviv. She acted as companies’ liquidator/administrator and advised in corporate restructurings and administrations. Irit is an expert adviser to the UK delegation to UNCITRAL (from 2006; and between 2013-2016, advisor to the World Bank). In 2013, Irit was appointed Senior Counsel to the World Bank and headed the Bank’s Global Initiative on Insolvency and Creditor/Debtor Regimes (2013-2015). Her book ‘Insolvency within Multinational Enterprise Groups’ (OUP, 2009) has won the Edwin-Co/INSOL Europe Prize for Outstanding Legal Scholarship (2010). Irit was awarded British Academy grants for her empirical research in the area of cross-border insolvency. At the University of Nottingham, Irit teaches company law; insolvency, international aspects of corporate law and international insolvency. Her academic and policy work has influenced law reform in Europe and globally.